If you own a Mac computer, you are likely satisfied with a large number of features on your device. In all likelihood, you heavily rely on your Mac computer to tackle projects in your personal and professional life. That said, a Mac computer doesn’t contain every feature that you will need. One of the features is the ability to convert a movie or another type of video into another video format. While this seems like an easy enough task on the surface, you will quickly discover that you need to find additional software to proceed. While there are many different options, we have collected the best free video converters for Mac devices. As always, the following list of free video converters is not ranked based on preference or favoritism. 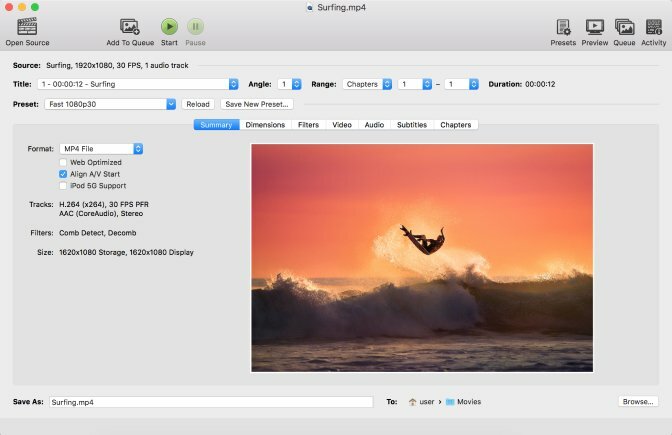 Rather, it is a collection of free software that can help you convert any type of video on your Mac device. Any Video Converter for Mac is a piece of freeware that helps millions of Mac users convert video. 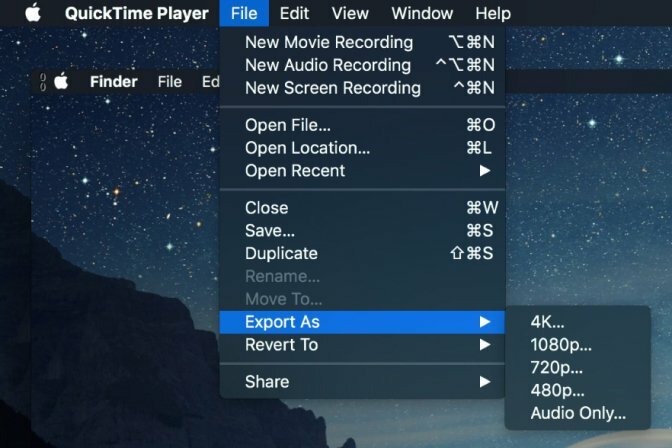 According to Anvsoft, the company that produces the software, Any Video Converter for Mac supports over 100 inputs and 160 outputs. For instance, you can take an MP4 or VOB file and convert it into an MKV file. Some of the supported output devices include Apple products (like iPhone X and iPad Air) and other products (like the Samsung Galaxy S9 and Kindle Fire HD). It is a video converter for Mac that is free to download and does not contain any adware or malware. DivX Video Converter is a simple, easy-to-use piece of software that allows you to convert your video into a number of formats. DivX Video Converter uses a drag and drop interface. The software has a number of features, including the ability to maximize speed over quality when converting your video, set bitrate and combine multiple clips within our video, or add audio tracks and subtitles to your video. There are two versions of DivX Video Converter that you can download: a free version and a pro version. To see the differences between both versions, please click here. Permute is a simple, free MP4 converter for Mac. Like DivX Video Converter, Permute uses a drag and drop system to make the conversion process as easy as possible. When you drag your video into Permute, the software presents output types that you can select for your video. 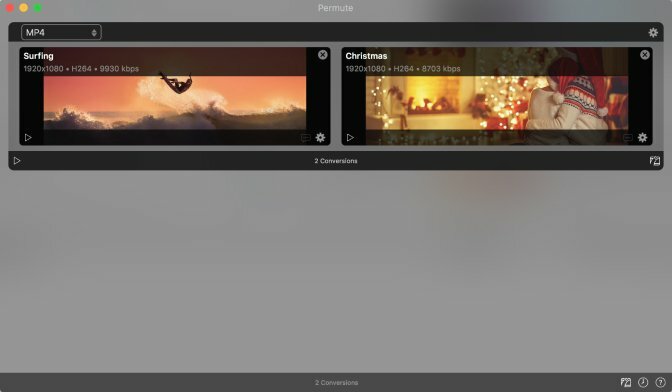 While you can use Permute to convert files or modify a file’s presets, the software, unfortunately, does not let users change a file’s video settings. It simply converts your video into another file type. Handbrake for Mac is another piece of software that allows you to easily convert video. Handbrake presents some simple instructions for users to get started. They simply need to select preferred input and output sources and go from there. To make it even easier, Handbrake offers built-in device presets so that you can begin converting videos in seconds. Like Media Coder, Handbrake for Mac also offers user documentation and a forum to address any particular user questions. Prism Video Converter is a free video converter for Mac that allows you to convert or compress video files within minutes. 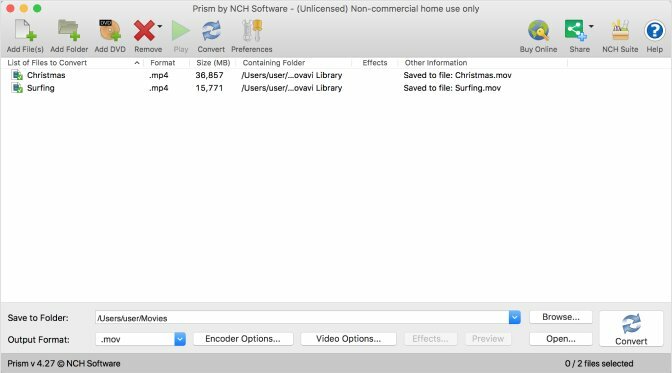 NCH Software, the creator of Prism Video Converter, says that users can convert a wide range of files, including AVI, MP4, WMV, MOV, and FLV files. If you have many videos to convert, you can leverage Prism Video Converter’s batch video conversion feature so that you can convert all videos at once. The free version of Prism Video Converter is for non-commercial use only. Miro Video Converter says that it is “a beautiful, simple way to convert almost any video.” Miro Video Converter lists a large number of supported devices, including Android phones, Apple devices, PSP, and the Kindle Fire. Some of the more popular conversions on Miro Video Converter are AVI to MP4, MOV to MP4 and H264 to MP4. The software is 100 percent free and is open-source. This piece of software lets users easily convert media and audio into a wide variety of formats. It is also a free DVD converter for Mac, allowing you to convert a DVD into an MP4 or MP3 file. The software prides itself on its ease of use and bevy of features (including a GIF maker). That said, there is a caveat here: the free version of Wondershare Free Video Converter for Mac adds a watermark to edited videos. 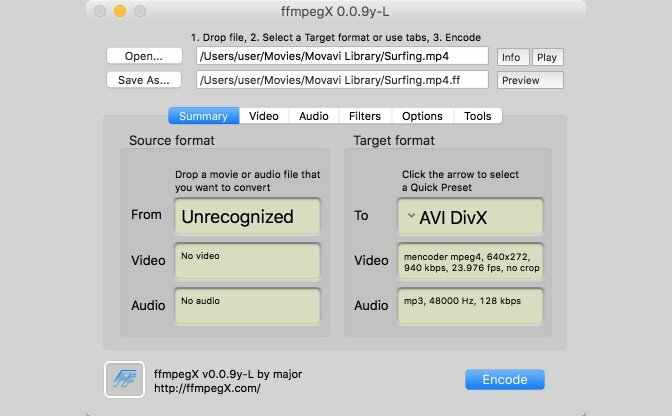 FFmpegX is a simple tool that lets you quickly convert your videos. Upon visiting FFmpegX’s homepage, you will see an image that displays how to use the software. You simply select the source format and target format and go from there. One of the best parts of FFmpegX is that it provides very detailed walkthroughs on how to convert certain video formats. Along with a forum, FFmpegX provides detailed installation instructions. 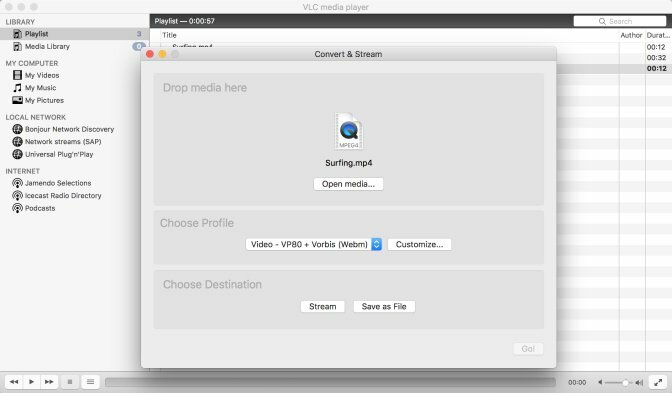 VLC Media Player is a cross-platform multimedia player that, among other features, allows users to convert different types of video. VLC Media Players plays a significant amount of formats, including MPEG-1/2, 3ivX D4, and Real Video (1/2/3/4). The software works for Mac OS X and has been downloaded nearly six million times. 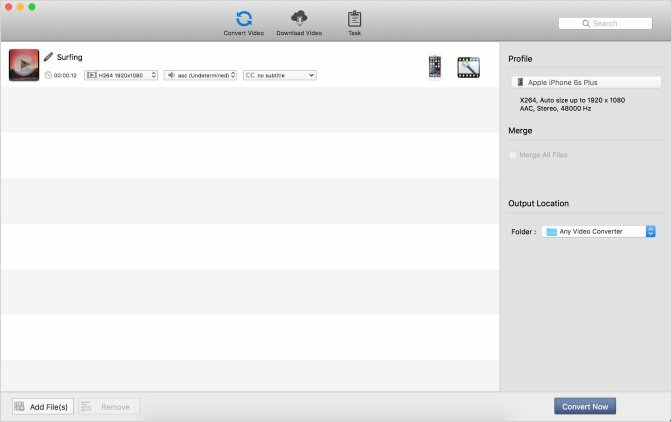 QuickTime Player is the classic Apple media player. While you may think you can only watch videos or movies on QuickTime, you can actually convert video as well. Luckily, Apple provides extensive documentation for QuickTime and you can always reach out to Apple should you have any trouble converting your video. By selecting some of the video conversion software above, you will be in an excellent position to convert any video that is currently on your Mac. While each software contains advantages and disadvantages, we are confident that this list of ten video converters can suit your needs. 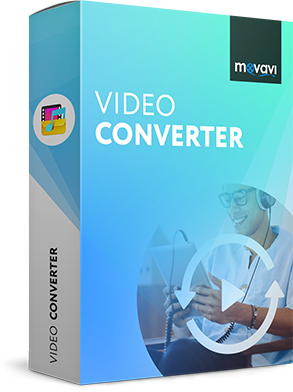 Related to this, if you are searching for an easy-to-use video converter that has a bevy of powerful features, we invite you to check out Movavi Video Converter. Movavi Video Converter lets you quickly convert your videos into any popular format and for any device. To learn more about Movavi Video Converter, feel free to click here.